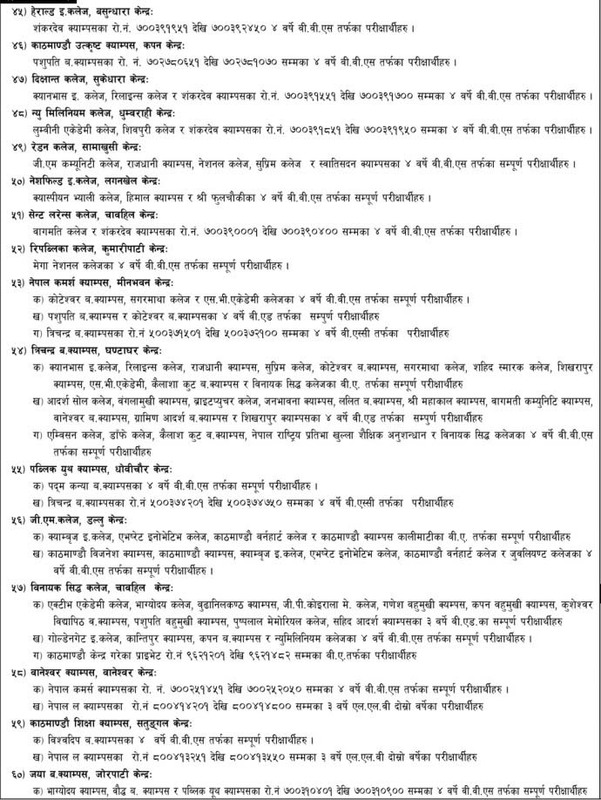 Tribhuvan University, Office of the Controller of Examination, Balkhu published the exam centers for 4/3 Years Bachelor Level First Year (BA, B.Sc, BBS, B.Ed) Exams, and LLB Second Year for the Kathmandu Valley and Kavrepalanchok District. 4/3 Years Bachelor Level First Year Exam is going to start from 2075 Bhadra15 and 17. 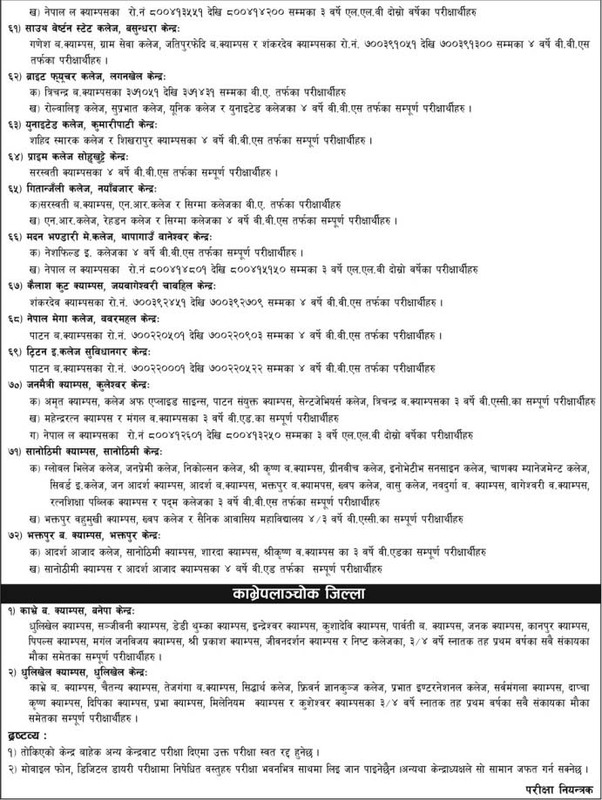 Check 4/3 Years Bachelor Level First Year Exam Centers below. Check Modified 4/3 Years Bachelor Level First Year Exam Centers also.